Implemented a workaround for buggy fseek function in IDECDEX.COM (ZIP files can now be browsed on Sunrise IDE CD-ROMs). New "Temporary path" feature for unzipped files (.UNZ) and patches ROMs (.PRM), allowing to launch ROM in ZIP files that are located on a read-only (CD-ROM) drive. 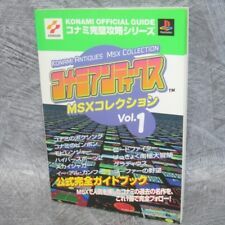 You can download it from my MSX game room. Please report any bug on the SofaRun bug report thread. Great update! can't wait to test it later today! Nice!! Just downloading the files, but Sofarunit is still v1.2?! My mistake. In the Sofarun.zip it is version 1.3! Yes, I have not updated the individual SofaRunIt and SofaUnZip packages on my website yet, so the newest versions are in SofaRun for now. Running new version now. Works great! I just fixed a bug in the function that patches the ROMs (for JoyMega, MSX version & language, etc...). Please re-download for avoid issues with this. I run on sofa now. Thanx! !